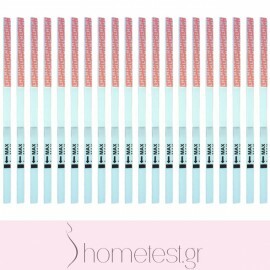 Pre-Seed fertility vaginal lubricant, 20 LH ovulation and 5 hCG pregnancy HomeTest test strips. Affordable and reliable way to find your fertile days and aid the conception proccess. Prefert manufactured for: Church & Dwight Co. Inc.
Prefert aids natural fertility and helps couples to conceive.